Fur tends to elicit a strong reaction; very few people consider themselves "neutral" on the topic. Regardless of whether you're for or against fur - shoppers have the right to receive accurate, detailed information about what they choose to purchase online. GS1 is leading the charge in trying to accomplish this with their e-commerce extended attribute guidelines for apparel. These extended attribute guidelines will require suppliers and retailers to inform online shoppers whether fur is real or faux, the type of animal the item was made from, the fur's country of origin, and how it was treated. Can you imagine how devastating that would be for an anti-fur advocate -purchasing a jacket that has "faux fur trim" only to see a "Made From Real Fur" tag on the item when it arrives? Or even worse, be completely unaware of the fact that the apparel was made from real fur until you receive an apology note from the retailer who sold it to you? As recently as December of 2014, apparel items that were labeled as "faux fur" were revealed as real fur when they were lab-tested. Ensuring that consumers aren't buying real fur when they hoped for faux isn't the only way the fur industry will be impacted. 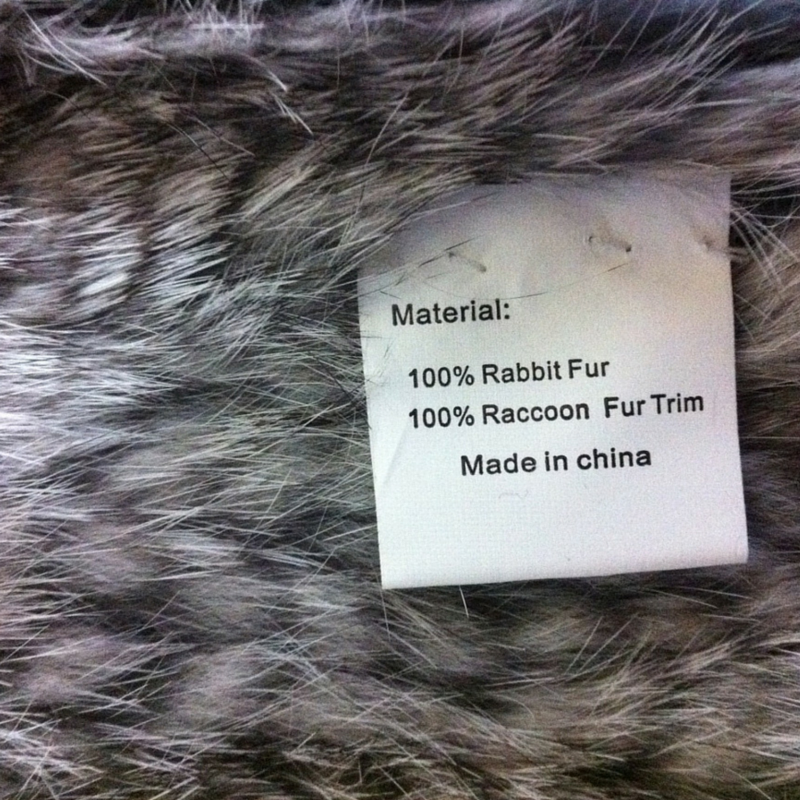 Consumers who have no qualms about buying "Authentic Animal Fur" might be less enthusiastic when they see "rabbit" "raccoon" or "raccoon dog" listed in the product details of an e-commerce website. Country of origin may impact the industry too. China is one of the few countries with virtually no regulations around fur farming, which means that there is no obligation to use humane practices or accurately report what animal the fur was made from. On many separate occasions, fur originating in China was revealed to be inaccurately labeled as mink or fox when it was actually the fur of raccoons, raccoon dogs, and sadly, domestic dogs and cats. Consumers are less likely to think about the implications of their purchase if the e-commerce site they're shopping on doesn't include the "country of fur origin" information. There's a reason "out of sight out of mind" is such a popular expression. In 2013, consumers spent $1.39 Billion dollars on fur in the United States alone, while global fur sales between 2012-2013 brought in a whopping $35.8 Billion. Perhaps arming shoppers with more information about the fur they're purchasing would be enough to sway a segment to spend their money on apparel and accessories with companies that hold themselves accountable for their sourcing and production. 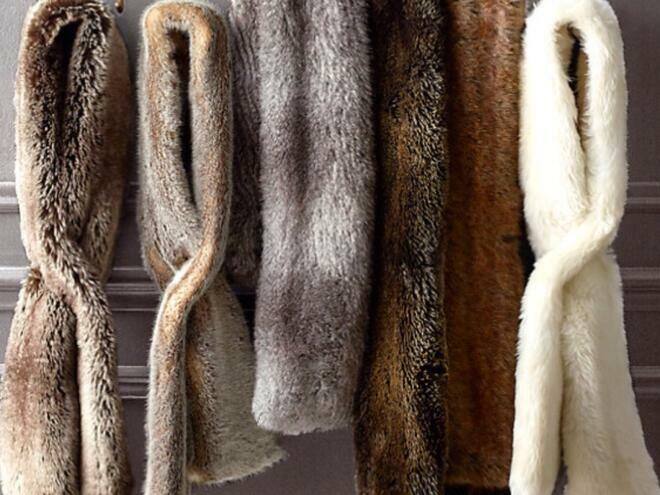 Dollars could move to retailers that use repurposed vintage fur, (looking at you Reformation), or source their fur from Switzerland, a country with very strict regulations on how fur production. Even if including these fur-related attributes doesn't encourage more conscious consumption, at the very least it will prevent the type of PR nightmare that occurs when an anti-fur activist orders mislabeled, not-so-faux fur. GS1 created their extended attribute guidelines for e-commerce because there are no industry-wide standards for what product information is provided to consumers. Retailers like Macy's, Nordstrom, and Dilliard's have embraced these guidelines because it will allow them to provide consumers with a superior shopping experience and reduce the number of customers who are unsatisfied with their purchase. An unintended side effect of these guidelines may be the empowerment of consumers to make purchases fueled by their personal moral code, which could be a turning point for the apparel industry. Including this type of detailed information could initiate the movement away from "fast fashion" and back towards quality.